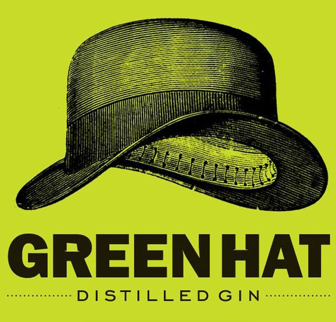 Work alongside fellow HLS alumni to bottle Green Hat Gin! Please join HLSA-DC for a bottling party at New Columbia Distillers – a family-owned distillery that became the first craft distillery in Washington, DC when it opened in 2011. Help fill, label, and assemble bottles of Green Hat gin at the distillery. Bottlers get cocktails while they work and wholesale discounts on any gin they want to buy. The cost of this event is $10, which will cover the cost of the light fare provided. After the bottling, there will be a detailed tour of the distillery and an opportunity to taste the distillery’s gins and other products. Orientation begins at 5:45 PM. Bottling starts at 6 PM and typically takes about 2 hours. Come work alongside fellow alumni during this festive event! ClLICK HERE TO REGISTER FOR THIS EVENT! You are welcome to bring a guest to this event. Please RSVP for your full party so that we know how many will be attending. We apologize but we will not be able to issue refunds for this event. We recommend that you use rideshare to get there. The closest Metro stops are NoMa-Galludet or Rhode Island Avenue. We will send you an email to confirm your attendance the week before our date of service - please try to make your shift or let us know as early as you can if you can't make it. The distillery is counting on our volunteers to get this batch done! The bottling party will put labels on bottles, fill the bottles with gin, cork the bottles, mark the labels and put the bottles in cases. Except for the labeling, all of this work is done standing at an assembly table in the distillery. The bottlers will need to move cases of gin weighing about 25 pounds. DRESS CODE: Safety is our top concern. Since we are a working in an industrial space, we ask that bottlers wear closed-toe shoes and no heels. With that out of the way - we hope to see you there!